NHTSA orders supplier to issue national recall or face fines. The National Highway Traffic Safety Administration today ordered Takata to expand its airbag recall to a national action. National Highway Traffic Safety Administration officials today made good on their earlier threat to force Takata Corp. to issue a national recall of all vehicles in the U.S. equipped with its potentially deadly airbags or face that will quickly escalate into the millions of dollars. In a letter to Takata officials, the agency told the supplier it had until Dec. 2 to comply with its demand or it face a fine of $7,000 per vehicle per day. Takata hasn’t issued a response to the letter. New chief Gales pushes pragmatic approach to recovery. Lotus recently celebrated its 1,000th car earlier this month. The company is taking a common sense approach to recovery. The ongoing saga of Lotus is taking on a new twist: practicality. It wasn’t long ago that the specialty carmaker boasted about plans to introduce several new models. However, the company has fallen on difficult financial times and seen a change at the top with Jean-Marc Gales taking over for the brash and confident Dany Bahar. Project 952 designed to replace old Alfa 159. 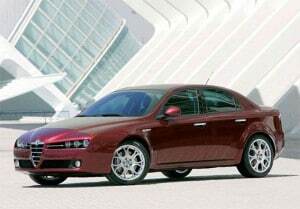 The old Alfa Romeo 159 was sold only in Europe. It's successor will go global, including the U.S.
After months of waiting, American Alfa Romeo fans can finally head to dealers for the maker’s little 4C sports car, the first model the Italian maker has sold in the U.S. in more than two decades. But it will soon have to share showroom space, according to several reports out of Europe. During a day-long briefing on the company’s plans last May, Fiat Chrysler Automobiles CEO Sergio Marchionne indicated Alfa Romeo will be getting as many as eight new products, and during an appearance at the LA Auto Show this month, Alfa would bring the second of those to the U.S. next June. 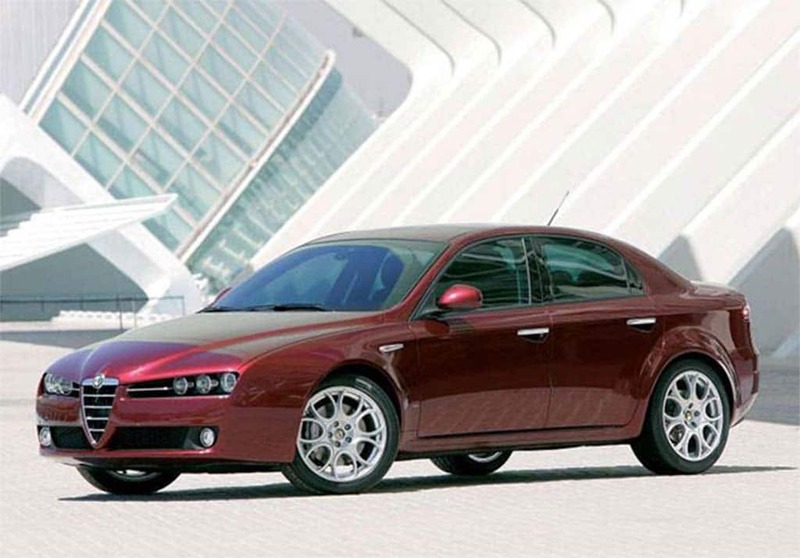 While Wester declined to say what that new product would be, it appears the maker will next turn to a midsize sedan replacing the old Alfa 159, according to Luca Ciferri, of Automotive News Europe. The maker apparently will go for a “tweener” strategy, much as Cadillac did with earlier versions of the CTS. 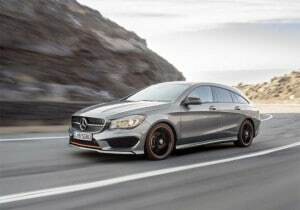 The new Mercedes-Benz CLA Shooting Brake may be what's needed to change the opinions of U.S. drivers about wagons. Manufacturers have tried going the semantic root: dubbing them shooting brakes, estates, crossovers and cross country. But Americans have shown an uncanny ability to sniff out a station wagon and turn up their noses – which is all the more ironic considering wagons make up one of the hottest segments in Europe. Could the new Mercedes-Benz CLA Shooting Brake bridge that gap? The more immediate question is whether the German maker will try. It isn’t yet saying whether it will import the “two-box” take on its popular new compact luxury model. But these initial images suggest it might be worth a try. Dealers taking advantage of kickoff to holiday shopping. Black Friday isn't just the about getting a deal on electronics. Automakers are using the day to kick off their holiday sales programs. It’s not just too-good-to-be-true deals on computers, high-definition televisions and portable DVD players drawing people out on Black Friday, many shoppers salivating at the prospect of a great price on a new car will fill auto dealerships across the country boosting November auto sales. 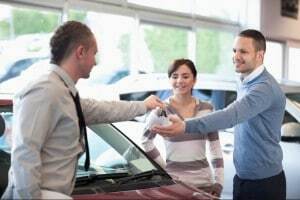 Kelley Blue Book estimates November sales, aided by a strong weekend finish to the month, could climb 2.2% year-over-year to a total of 1.27 million units. Ford, Chevrolet Get Pass from NHTSA on Issues. Mazda had to recall about 100,000 2014 and 2015 Mazda6 sedans for a problem with the tire pressure monitoring system. Three automakers revealed news about recalls, but only one of the three – Mazda – actually needed to recall any vehicles. 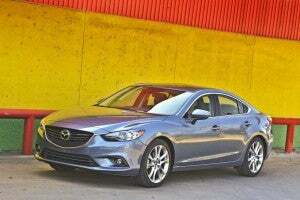 The Japanese automaker is recalling nearly 100,000 Mazda6 sedans due to a faulty tire pressure monitoring system. The vehicles affected are from the 2014 and 2015 model years. The problem is that if the pressure in all four tires drops at the same time, the monitor may not warn drivers to the problem. 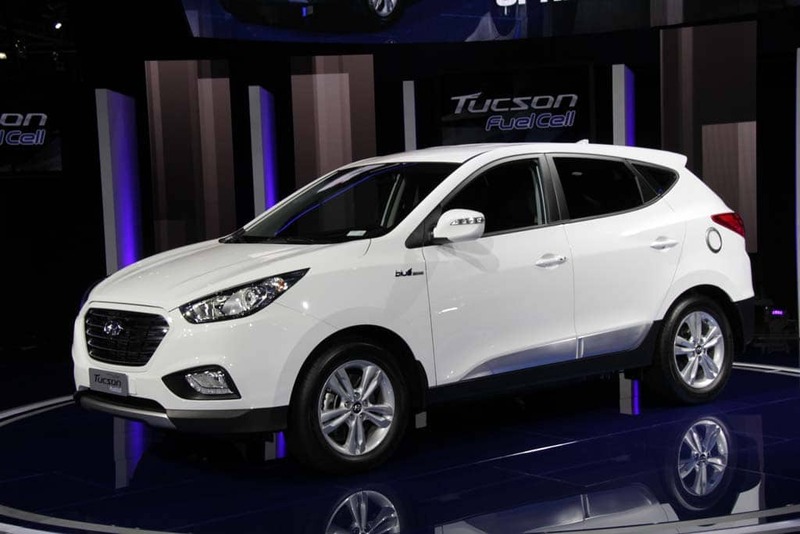 A fuel-cell version of the popular Hyundai Tucson went on sale in the U.S. market last summer. Hyundai Motor Co. and its sibling Kia Motors Corp. are collectively heading for an all-time sales record of 8 million this year. On the downside, Hyundai is facing serious pressure on earnings as the Korean won gains strength. That creates a disadvantage when compared to Japanese rivals who have watched earnings soar on the weak yen. 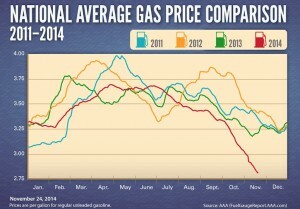 Average price is below $4 a gallon in every state. The 41.3 million Americans who are preparing to travel “over the river and through the woods” to grandma’s house will be paying the lowest holiday prices for gas in five years, according to estimate prepared by the AAA Daily Gas Gauge. AAA reported the national average price for regular unleaded gasoline has fallen for 60 consecutive days, reaching today’s price of $2.81 per gallon. Luxury brand celebrating 25th anniversary. 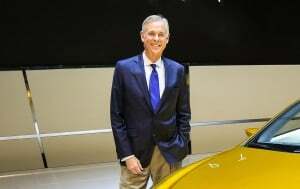 Jeff Bracken, head of Lexus, said the brand would sell 300,000 units in the U.S. this year. Just weeks after suggesting Lexus would sell more than 300,000 vehicles this year, the brand’s top executive revealed how it will make that number: it’s launching its annual, year-end sales drive, which made December into one of the most, if not the most important months on the auto industry’s marketing calendar. Through October, Lexus has seen its sales increase 14.3%, outpacing the growth of other luxury nameplates in a strong market. Jeff Bracken, the head of the Lexus Division, told the Automotive Press Association in Detroit that Lexus will kick off its annual sales drive next week. But he also noted that rivals such as BMW and Mercedes-Benz have copied Lexus sales tactics. “We acknowledge the problem,” says senior executive. The recall scandal continues to rock the auto industry with new and damaging revelations. The latest company to have its reputation seriously smeared is Japanese automaker Honda, which admits it failed to file more than 1,700 accident reports with federal safety regulators as required by law. “At Honda, we acknowledge this problem as our management responsibility,” said Rick Schostek, executive vice president of Honda North America.